Christian Butterfly symbolism has been talked about throughout the ages. 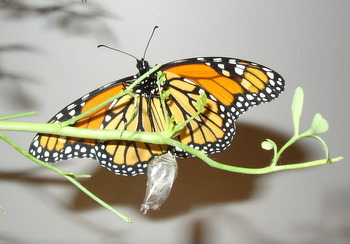 The butterfly emerging from the chrysalis has traditionally been a symbolism of Christ rising from the tomb. 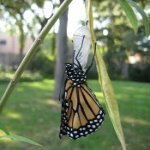 The stages of the butterfly - egg, caterpillar, chrysalis, and butterfly are wonderful analogies to our life as Christians. The miracle starts with an egg the size of the top of a straight pin....just as human life starts with a tiny fertilized egg. A few short days later a TINY caterpillar emerges through the shell of the egg.....a baby is born. The caterpillar stage of eating, eating, eating is symbolic of life on earth.....preoccupied so often with the physical and material. 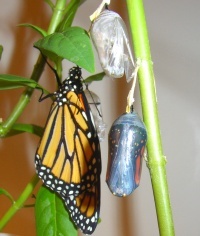 The butterfly emerges..... symbolic of our souls rising from the grave and ascending into heaven and eternal life. The miracle of course is that the egg is transformed into the beautiful butterfly.....it leaves no doubt in my mind that there IS a God. I think that is why I have become so fascinated with Butterflies. 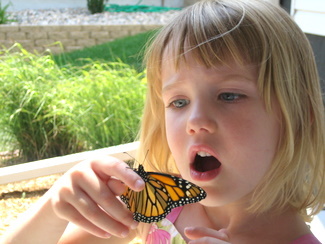 Raising Monarchs and observing this miracle reinforces my faith and feeds my soul. It assures me that God is alive and working in the world, that He is an awesome Creator and masterful artist (as we see throughout nature) and that there is hope in Eternal Life. Christian butterfly symbolism can also be found in comparing the butterfly metamorphosis (transformation) to Christian metanoia (conversion or transformation). 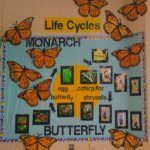 Take a look at my monarch life cycle movie. Amazing....certainly not an accident of nature! 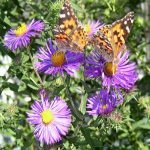 The experience of raising butterflies is a great way to reinforce faith with children....at home with your kids, in a homeschool science curriculum or Catholic homeschool curriculum. I hope that your experience Raising Butterflies will also instill in you an awe for the Creator and amazement in the miracle!